Dr Christopher's Heavy Mineral Bugleweed & Celantro designed to help remove heavy metals from your body. Unfortunately we are exposed to heavy metals on a daily basis. We are exposed to lead, mercury, aluminum, arsenic & cadmium through our drinking water, foods we eat, pesticides, dental work & many products we use daily such as cooking utensils. 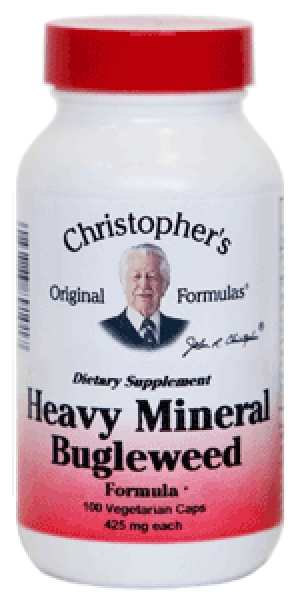 Dr. Christopher's Heavy Mineral Bugleweed formula aids the body in removing heavy metals, helps the body replenish important minerals & supports the liver. 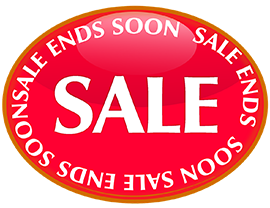 Heavy Mineral Cleansing Program: Take two capsules daily in conjunction with 6 Chaparral capsules taken three times a day. Every other day bathe in 1-3 pounds of Epson salts in a tub of hot water. The bathing routine should continue for three weeks then rest a week, but continue taking the herbs. This is the herbal combination for combating pollution, both external and internal. It helps draw out minerals, drugs, and other pollutants trapped in our system.